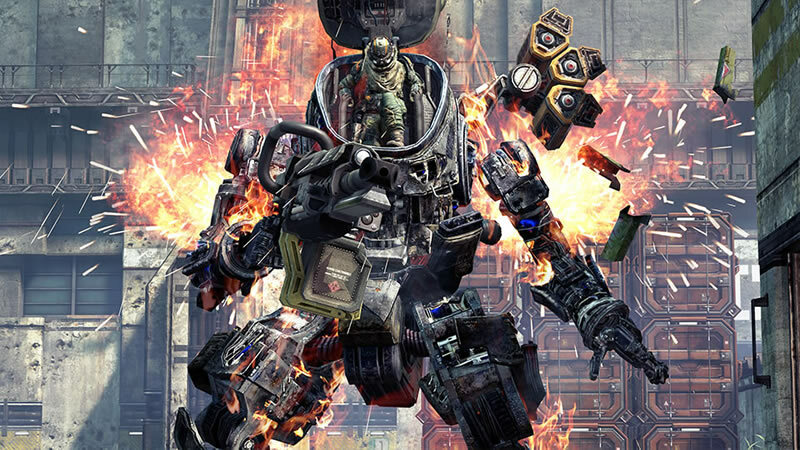 I think I know what my favorite moment in Titanfall is. I'm in a Titan when my display tells me an enemy pilot has crawled up my back. My Titan's near death anyway and I know there won't be time to hop off and shoot the pilot down. Besides, my Titan is prepared for this exact moment. Earlier, I equipped it with a kit that would eject me, cloaked, just before it was set to explode. I should be just fine.